Dawn’s app—A satisfied pizza eater! 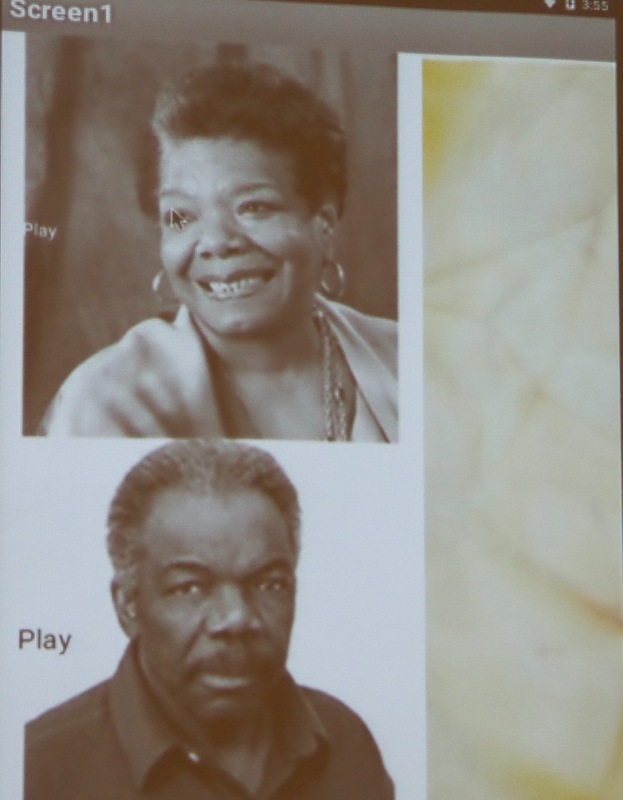 Debbie’s app— poet Maya Angelou and painter Sam Gilliam. Today was the last full group meeting before everyone starts in their classrooms. Denise made an app reflecting on historical events that had a big impact on her in the 1960s—the Cuban Missile Crisis, the Kennedy Assassination, the Beatles’ appearance on Ed Sullivan, and the moon landing. Dawn made an app testing fractions of a pizza pie. Each time you shook the app, you’d “eat” some of the pizza and then you’d have to identify the fraction remaining. 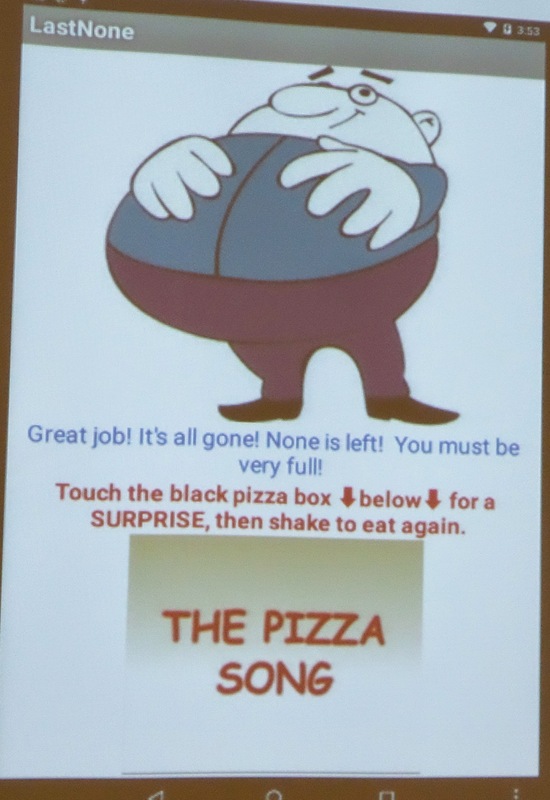 At the end, you’re rewarded with a picture of a satisfied glutton and a video of The Pizza Song. Mike made an app with speeches from Albert Einstein and Nelson Mandela. Akira made an app about the Ferguson tragedy. Debbie made an app called “Painters and Poets” with conversations with Sam Gilliam and Maya Angelou. Kim showed her app with a fun tour of the solar system. She had an advanced interface for playing and pausing the media files. Next stop is official work with their students!